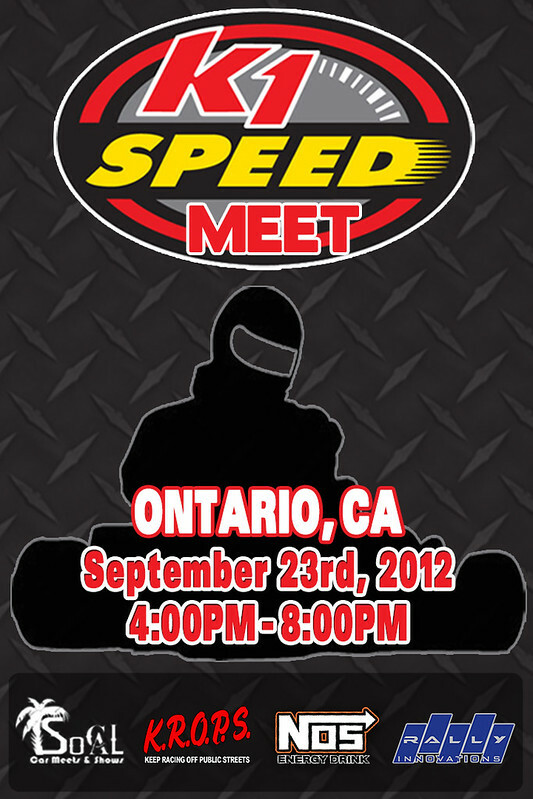 Come out for K.R.O.P.S 9th meet of 2012 at K1 Speed Ontario. We had a great turnout at the K1 Speed in Carlsbad, Anaheim, and Irvine for our previous monthly meets. As ALWAYS, we ask that you respect the area by not bumping your music, revving, doing burnouts, racing, or any of that “ricer” stuff. Also, NO drinking or smoking weed in the parking lot as we have zero tolerance for that and will ask you to leave or call the cops if needed. Racing will be open from 4pm to 8pm. (Specials): $15 per kart race all night. K.R.O.P.S. Shirts for sale @ $10 Each. TRACK OK Sticker @ $5 Each.